If you prefer a colour other than white please place it here. These all white paper flowers with silver accents make a great backdrop for your wedding ceremony or reception. 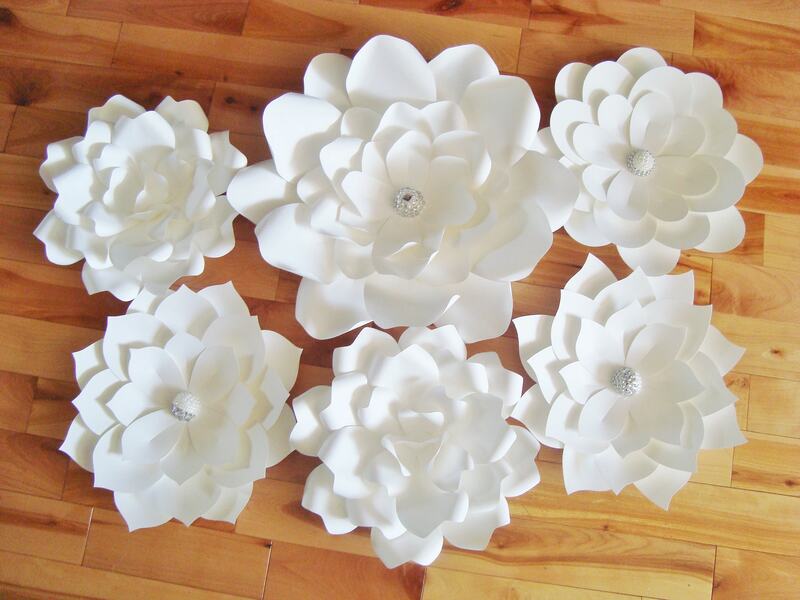 Work perfect as a flower wall for your home decor or baby nursery. They also work well for a bridal shower, baby shower, or special event. Comes in all white with silver centre accents. Custom orders are always welcome!